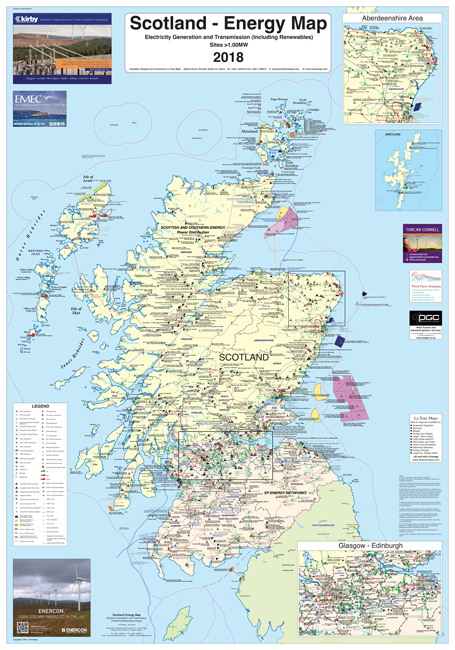 La Tene Maps has released a new edition of its aquaculture map “Scotland – Major Finfish Farms”. 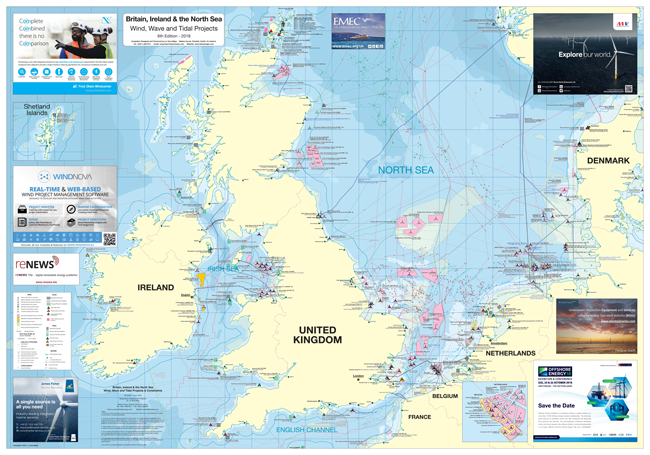 This is the first new edition of this map in ten years and follows on from an updating of its Irish Aquaculture Map. 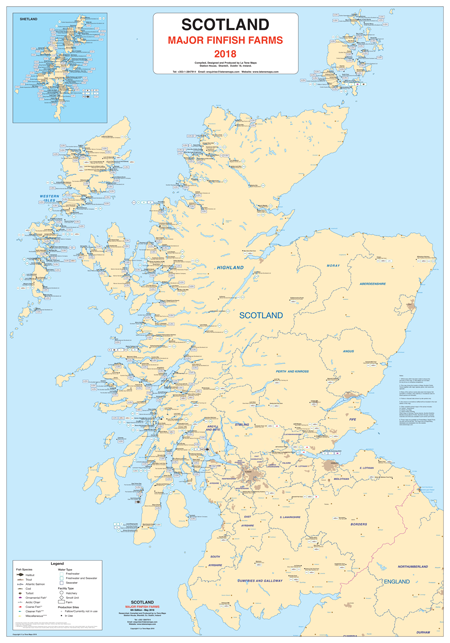 Mainland Scotland and Orkney are covered by the main map whilst Orkney is an inset at the same scale. 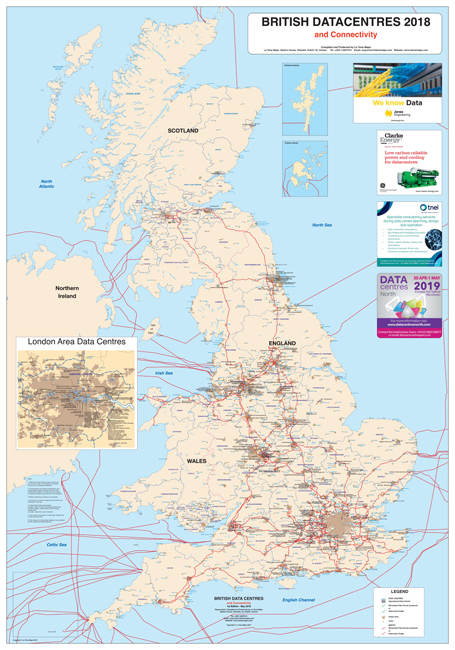 The map is B1 size (700 x 1000mm) and a version of this map without advertising can be printed on demand or available as a pdf file. 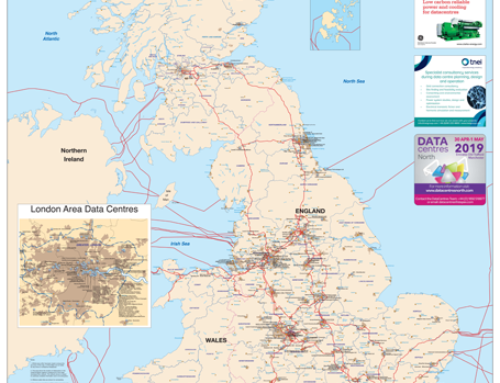 The datasets behind the map are available to purchase. 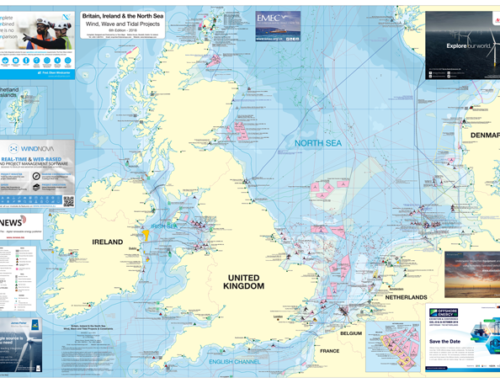 “La Tene Maps invented the Aquaculture Map way back in the 1980’s and the current map was one of the first we did. Since then we went onto map most of the Salmonid production areas in the world. The big gap in editions was due partly to illness, partly to the maturity of the business. 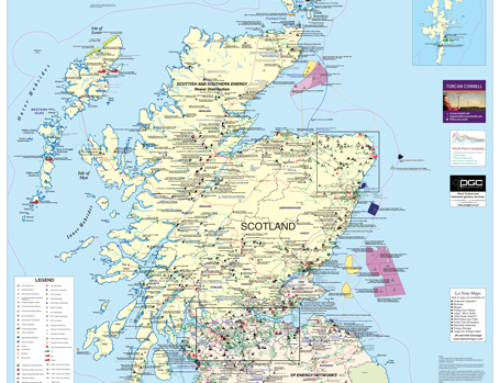 We tend to do new editions if it is felt that there is a need for the new edition and we can distribute the map to a relevant audience. So I am very happy to see this new edition out”. 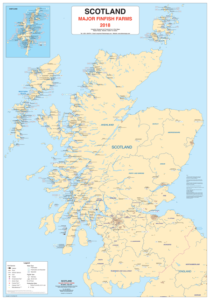 The Scotland – Major Finfish Farms map is to get its first public distribution at the “Aquaculture UK” conference and exhibition to be held in Aviemore, Scotland UK on the Wednesday 23rd and Thursday 24th May 2018.